If you are looking for an exciting, original and innovative attraction for your wedding, you should get to know Villa bus, a five-star service package that will allow you to maximize the success of your wedding day. The wedding day is a day that we will remember forever, a day that begins in the early morning hours and ends with the wedding ceremony in the evening, day that starts with the visit at the bridal salon, a visit by the groom at the barber, Video footage and finally arriving to the wedding ceremony. Planning a wedding day can be a challenging task since it is necessary to coordinate all the factors mentioned above, now imagines that everything will be done for you. 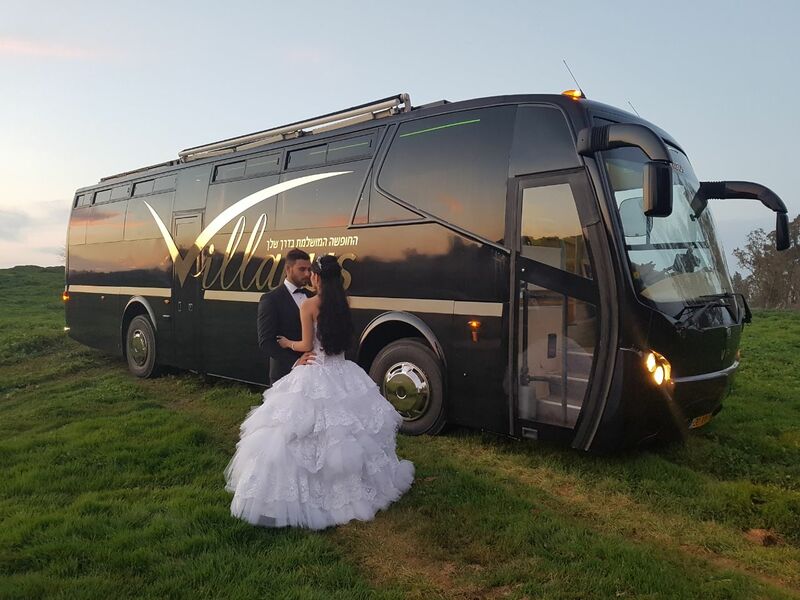 Villa bus services include: picking the bride to the hair styling studio, to the makeup artist, to the bridal dress studio and finally arrives to the event. The villa bus includes a royal bedroom with a luxurious double bed, bathroom and shower, a designer living room with an innovative multimedia system and a fully equipped kitchen.